Stay at Home Blessings: How Healthy Are Your Kids? 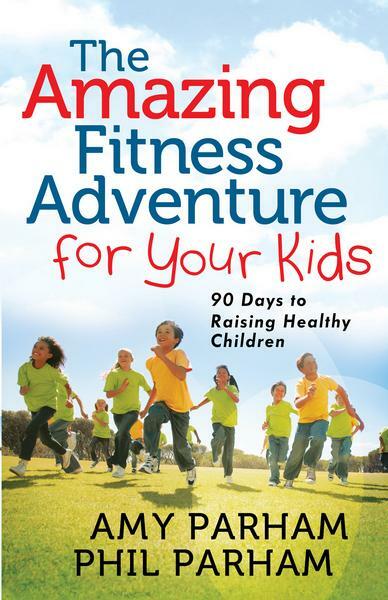 I did not receive a review copy of this book The Amazing Fitness Adventure for Your Kids by Phil and Amy Parham. But I would like to share with you the free first chapter of the book which can be read by scrolling below. There are a lot of points to ponder on when you read it which can greatly improve the lives of your children and your family. By the way, Phil and Amy Parham were former contestants in The Biggest Loser. Parents must be good models to their kids when it comes to living healthy. They would not live and eat healthy if we, parents, do not. Teaching our kids to live healthy - eating right and exercising, will give them a better life. It affects not only their physical health but also their school performance, their confidence, their ability to socialize, their dreams, their whole life. Health problems like obesity, diabetes and heart problems that are affecting children now and when they are grown up are not solely due to genetics. Unhealthy habits like eating mostly fast-food and processed foods and inactivity caused by spending too much time watching TV or playing video games, are the culprit. Parents need to say No and to make a sacrifice today to invest in the health of their children. Health is wealth, right? Want to find out how healthy are your kids? Go over the checklist in the last part of the free chapter below and you can more or less assess if your kids are living a healthy life or not. If they are, congratulations! If not, then it's time to make a change. I, myself, have a couple of areas that I need to work on. This sounds interesting! I'm also guilty somehow of not being able to monitor closely the health habits of my children but I always try to encourage them to eat healthy foods especially fruits and veggies. Luckily, they did not grew up "sickly". In fact, my daughter has never been confined to hospital ever since even she looks thin in physique. For this, I'm very thankful!